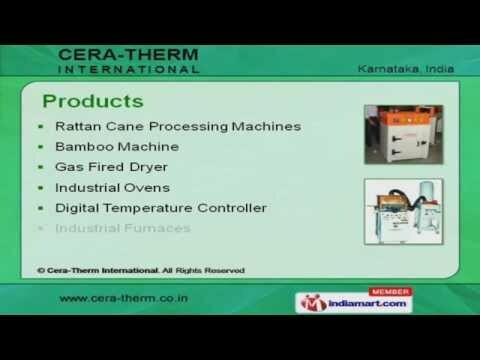 Welcome to Cera Therm International, Manufacturer and Exporter of Electronic and Commercial Heating Equipments. The company was established in the year 2001. Our Intensive R and D unit and Custom made solutions have helped us to earn clients across the globe. Spacious warehouse, Wide network of distributors and effective packaging are the reasons behind our success. We offer a wide assortment of Gas Fired Dryer, Industrial Ovens and Digital Temperature Controller. Our Rattan Cane Processing Machines are best in the industry amongst others. Bamboo Machines offered by us are well known for their durability. We also provide Gas Fired Dryers that are a class apart. Our organization is highly involved in providing an impeccable range of Industrial Ovens. Our Digital Temperature Controllers are well known for their outstanding performance.